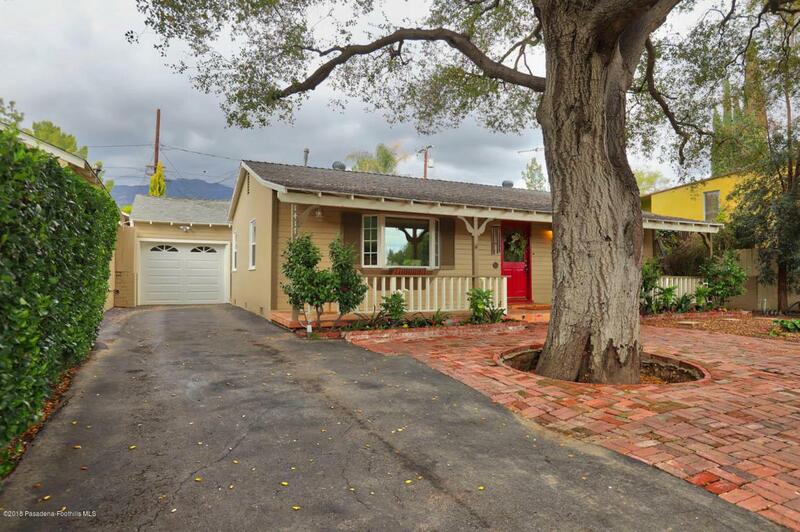 This adorable ranch home has so many charming features from the mountain views to the remodeled kitchen to the lush landscaping. 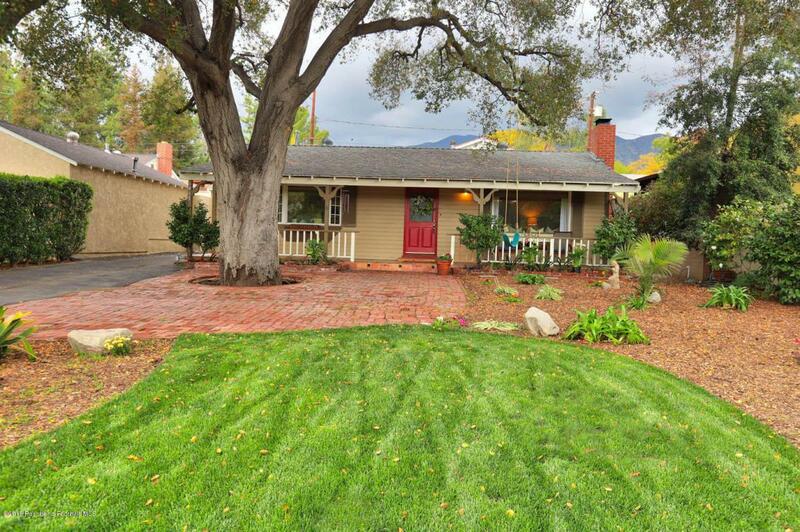 Enjoy the mountain views from the large front yard with the wide array of mature trees and colorful plants. The sweeping front porch lends itself beautifully as a serene place to enjoy the front yard and as an inviting entrance. Inside find the living room with hardwood floors, large picture window looking to the mountains, stone fireplace and attached dining area with slider to the lovely back patio. The remodeled kitchen has a terra-cotta paver floor, custom tiled backsplash and countertop as well as a garden window. There is a large laundry room/mudroom and half bath off of the kitchen. The remodeled main bathroom has a shower/tub, lots of storage and counter space. The two bedrooms are generously sized and have newer windows and good sized closets. Additionally, there is access to the home from the back via a small street. 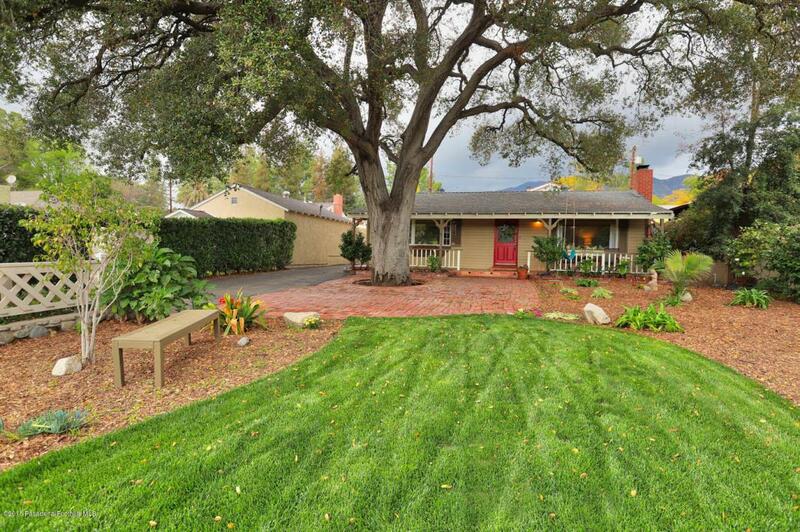 This home is located close to many wonderful locations in La Canada such Descanso Gardens, Memorial Park, horse trails, USC Verdugo Hills Hospital, movie theatres and restaurants. 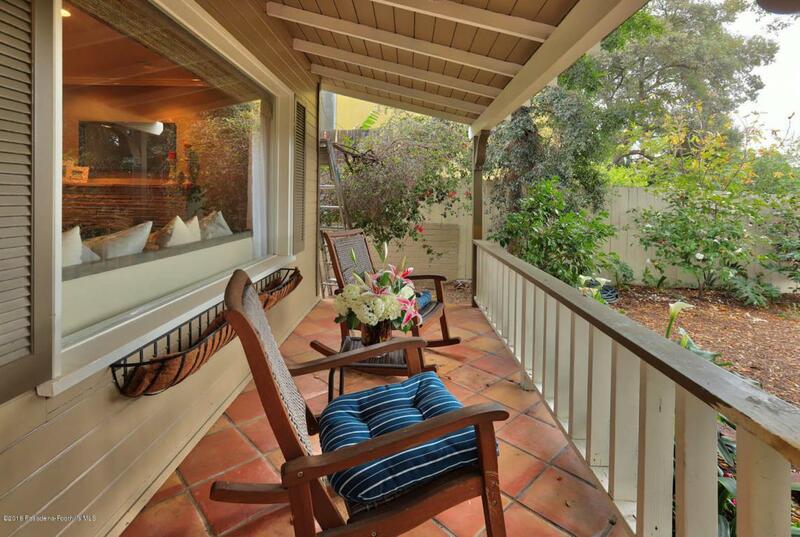 This charming home is in the award winning La Canada Unified School District. Sold by Benjamin Kelly BRE#01276522 of Compass.